Balanced on a cloud with arms outstretched to meet her destiny, this lithe dancer epitomizes the strong lines and dramatic persona of the Art Deco era. Austrian sculptor Lorenzl, often depicted the female form as a dancer with long, elegant legs and rapturously closed eyes. 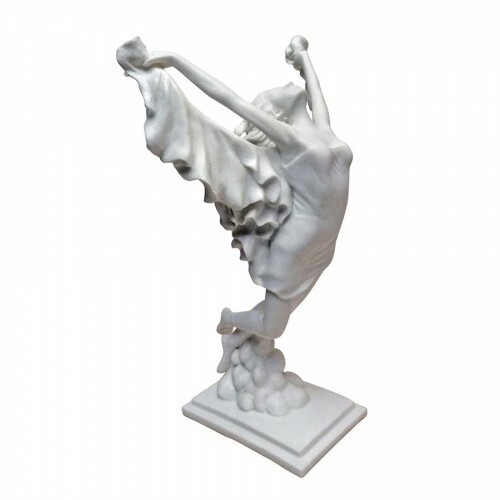 Our exclusive bonded marble resin figurine is a gallery-worthy collectible sure to garner admiration from art fans of any age.